Back in the fall of 1981 I decided to learn the art of chimney sweeping and I have never looked back. 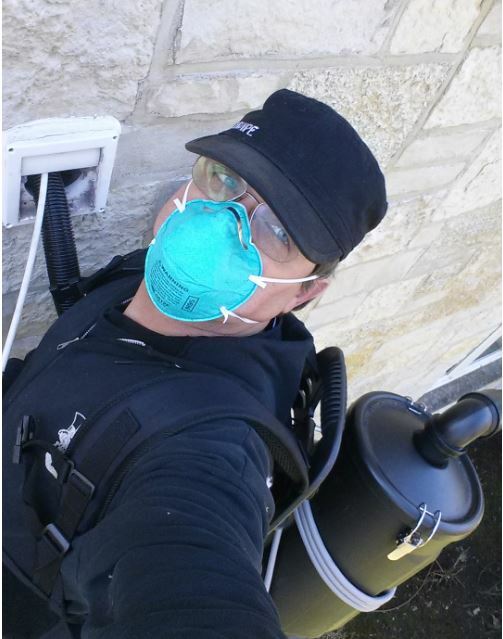 Wood burning or gas fired, Ashwipe Chimney Sweeps will keep your chimney clean. A clean chimney is imperative for the safe operation of any type of fireplace. Serving the North Shore of Chicago, our competent staff will make sure your chimney is clean and safe. 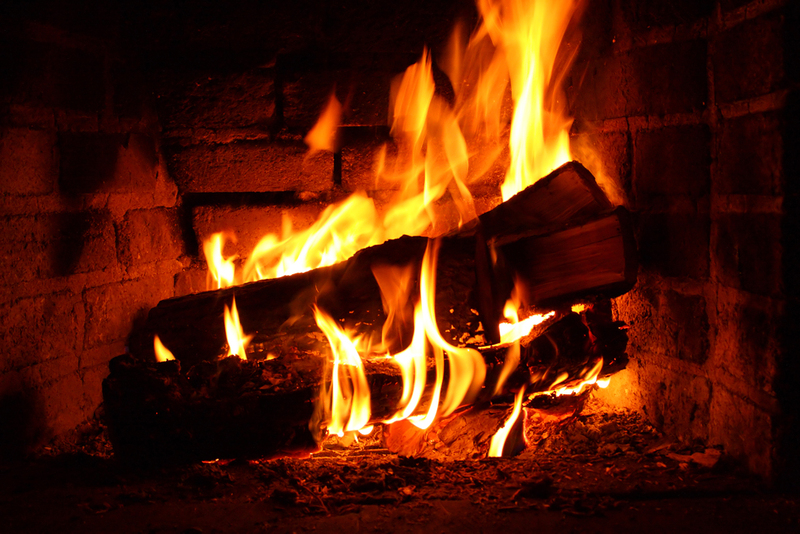 When firewood is burned it leaves a residue called creosote in the chimney. A chimney lined with creosote is a chimney fire lying in wait. The only way to safely remove creosote is through brushing the chimney with the proper brushes and tools. Dryer vents should be cleaned from time to time, especially if there are corners in the vent. Lint build up is both a fire hazard and also extends the drying time, especially with heavy loads such as towels and jeans. We have a video recording device made specifically for the inspection and video taping of the entire interior of your chimney. This is a strongly recommended procedure to those buying a home with a previously used fireplace. If there are any broken, cracked, or misaligned flue tiles, they can be easily seen with this procedure. Our customers have come to trust that the firewood we bring them is indeed hardwood and dry. The only key to repeat customers is quality. We learned this many years ago. We install all types of caps and screens on chimney tops. The only way to keep animals and debris out is to install a cap or screen. The photo shown is a 56″x 67″ copper cap We recently installed. We can have any size custom chimney cap made to suit your needs. Should you choose not to install a cap and have a visitor move in, I can also send him – or her – on their way! I have the proper tools and knowledge to inspect damaged chimneys in need of repair. I do relining of chimneys, damper repair, chimney cap repair, etc. I also have a list of businesses to recommend if there is major reconstruction or repairs needed. 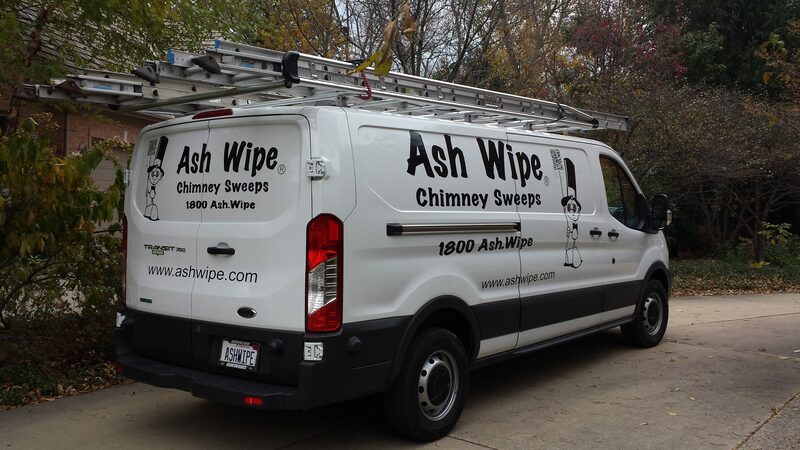 I hired Ash Wipe to clean my second floor dryer vent. The technician arrive promptly at the arrival time, worked quickly and did a great job. The dryer worked better and no more worry of fire from lint build up. Ross is great! Responds fast, super nice and always willing to help!! I can not recommend him enough! Great job, Ross. Thanks for your honesty & for cleaning out our fireplace – very professional, quick and no mess. I highly recommend this company. We serve all towns throughout Chicago’s North Shore including Buffalo Grove, Mundelein, Lake Forest, Lincolnshire, Lake Bluff, Highland Park, Highwood, Glencoe, Winnetka, Wilmette, Evanston, Northbrook and surrounding areas.